Elvis still heavily features on Forbes’ list of the top earning dead celebrities, where he landed on #2 for 2015, with $55 million. 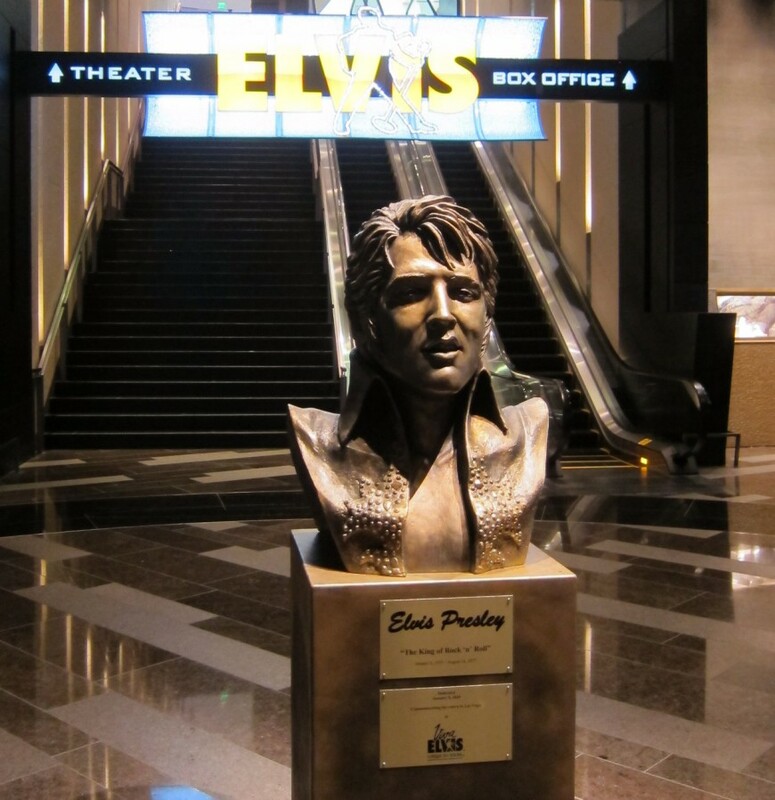 It seems likely that people will continue to worship Elvis in the future, and fans will still make that journey to visit his final resting place at Graceland in Memphis, Tennessee. Stardom started early for the handsome guy. He made a total of 31 films, and his recordings date back to 1953. His rendition of “Heartbreak Hotel” topped the charts in 1956. However, “Viva Las Vegas” (1964) was the rocket that helped propel him into the highest ranks of international stardom. Everyone knew he could sing and dance. But could he act opposite the hottest star in Hollywood? And would his boyish good looks translate to the big screen? The answer was a resounding “Yes!” Elvis the movie star had officially arrived. His Classic Movies are still popular today. “Viva Las Vegas” – one of the great classic movies – also helped shape the image of Las Vegas as the casino capital of the world. Buoyed by his flashy performance, the film played a vital role in portraying Vegas as the epicenter of gambling. It also helped to increase the overall popularity of casinos, in general. Of course, casinos had already been the backdrop of popular films, such as “Casablanca,” but adding the charismatic image of Elvis to the bright lights of Sin City was a game changer. Ann-Margret was fresh off her sensational role in “Bye Bye Birdie,” which made her a bona fide movie star. 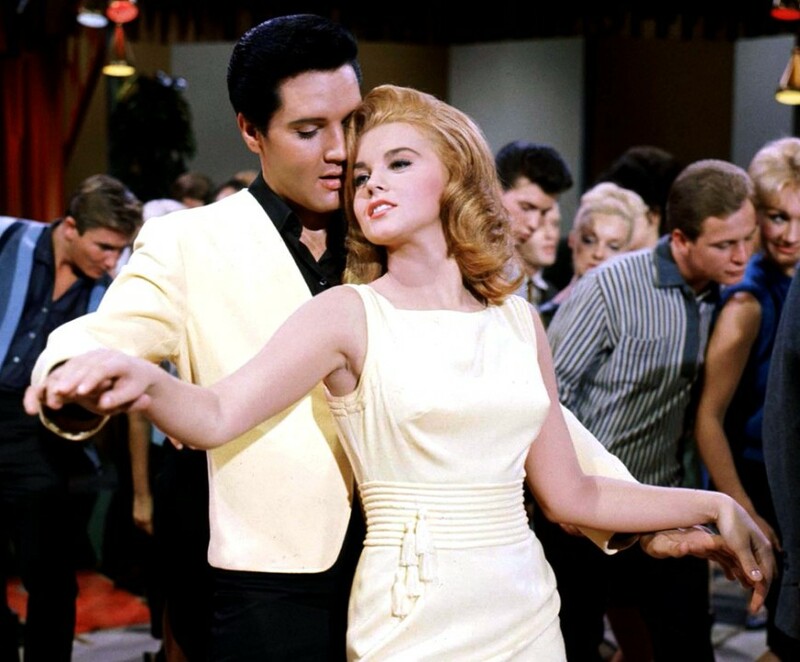 George Sidney, director of “Bye Bye Birdie,” teamed up with Ann-Margret once again for “Viva Las Vegas.” Elvis was in the middle of a perfect storm of events when he landed the lead role of Lucky Jackson. The real-life sparks between the two co-stars was palpable. It was impossible to ignore that on-screen chemistry, and it’s one of the many reasons “Viva Las Vegas” was a huge hit. Well, that and seeing the well-groomed star fall into a pool while decked out in a tuxedo. 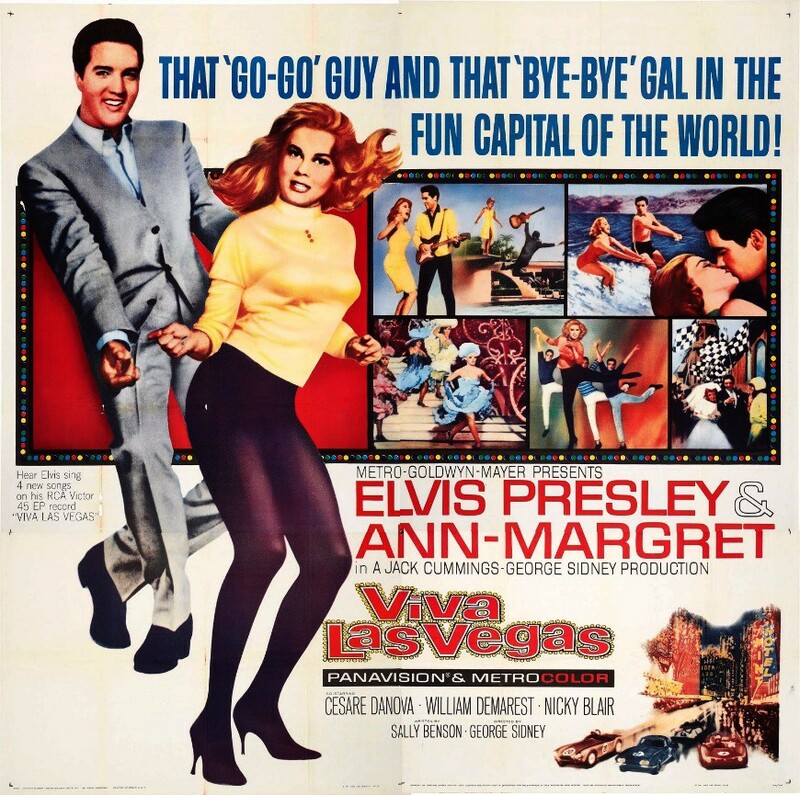 “Viva Las Vegas” made $9.44 million in the box office, which was the equivalent of $72.18 million today. Elvis was always a star, but “Viva Las Vegas” took his career to another level. He became the first true pop star in America. His appearances in Hollywood films elevated him to international superstardom. It’s safe to say that 60 years ago, the magnetic star with the iconic sideburns was easily the most popular and recognizable person on the planet. He might have been the first major celebrity brand, because no matter what you stamped his name on, rabid fans were going to buy it! Whether it was a new love ballad record, a formulaic romantic comedy film, or a special comb designed for sideburns. As the backdrop for Lucky Jackson’s activities, “Viva Las Vegas” also transformed Las Vegas into a star. The city never got proper billing in the credits. But it’s clear that Sin City itself played a huge role in the film, as it has done in countless others. For many moviegoers, “Viva Las Vegas” marked their first glimpse at the city. And in full color, too! Only a few years earlier, films had made the switch from black and white to technicolor. 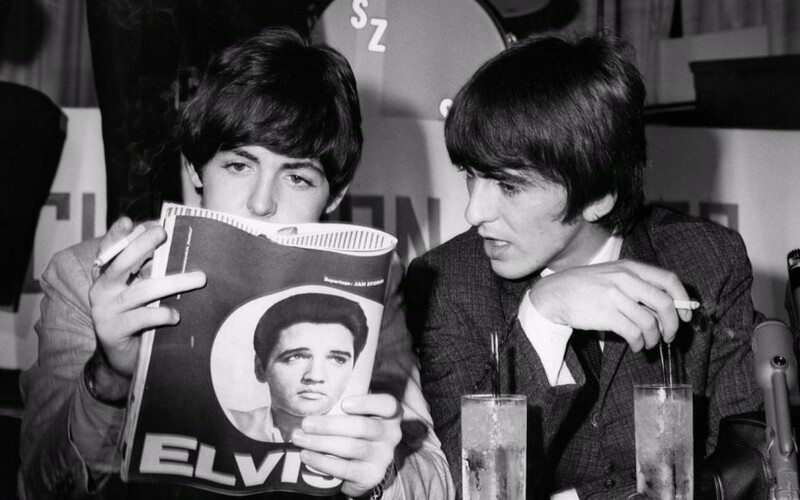 The Beatles check out their competition! In the 1950s, Elvis became an overnight sensation after an auspicious recording debut at Sun Records. In the early 1960s, his legend as a live musical act solidified as he cranked out more hits. But it was his foray into motion pictures that thrust Elvis into the spotlight. However, his film career facilitated his decline as a singer and musician. His eccentric manager, Colonel Tom Parker, signed him to a series of films, not all of them good. Thus, the exhausted star was cranking out three films a year. He might have become a movie star, but his brand was watered down with poor film choices. Things only got tougher for him when the Beatles hit the airwaves. When the counterculture took root in America in the late 1960s, America’s youth and the hippie movement inevitably shunned Elvis. The Beatles and their contemporaries like the Rolling Stones may have been inspired by Elvis, but the fab four from Liverpool nearly ended his career. With the influx of British bands and psychedelic rock and roll, Elvis represented the old star system. He was an example of the establishment. His popularity declined as the 1960s progressed, and he took a huge hit at the start of the 1970s. But like any legendary figure faced with adversity, he wasn’t ready to hang it up. His film career might have tanked, but he could still sing and dance. Although he lost credibility with hippies, he was still the most popular figure on the planet. Millions of fans all over the world still loved his songs. The King was poised for a comeback. The King Makes a Comeback! 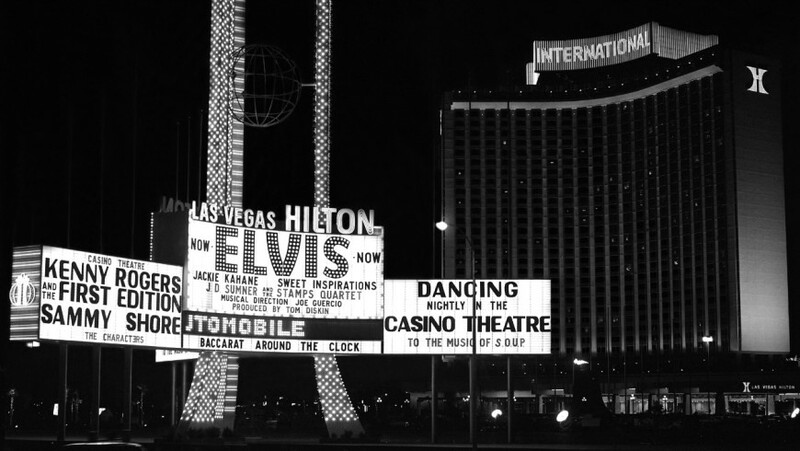 Thanks to “Viva Las Vegas,” Elvis was already synonymous with the city itself. When he decided to launch his huge comeback tour, he turned to Las Vegas and the Old International Hotel and Casino. This later became the Hilton and is currently known as The Westgate. His return to the stage occurred on July 31, 1969 in Las Vegas. The concert was a star-studded affair. Rock journalists were flown in from New York to see the epic performance. The audience gave several standing ovations, and the King of Pop performed a rare three encores. That evening was the first time Elvis was referred to as The King. The nickname stuck. He was back on top! The King of Pop makes a comeback in Las Vegas! He played a record 58 sold-out shows in August of 1969. Those shows were such a huge financial success that he locked up a five-year deal. At $1 million per year, he would play a string of shows in Vegas every February and August. He was still doing a two-month Vegas residency when he died unexpectedly in 1977. The phenomenon of Elvis Presley is something that has been replicated but never surpassed. He was a predecessor to today’s star system. 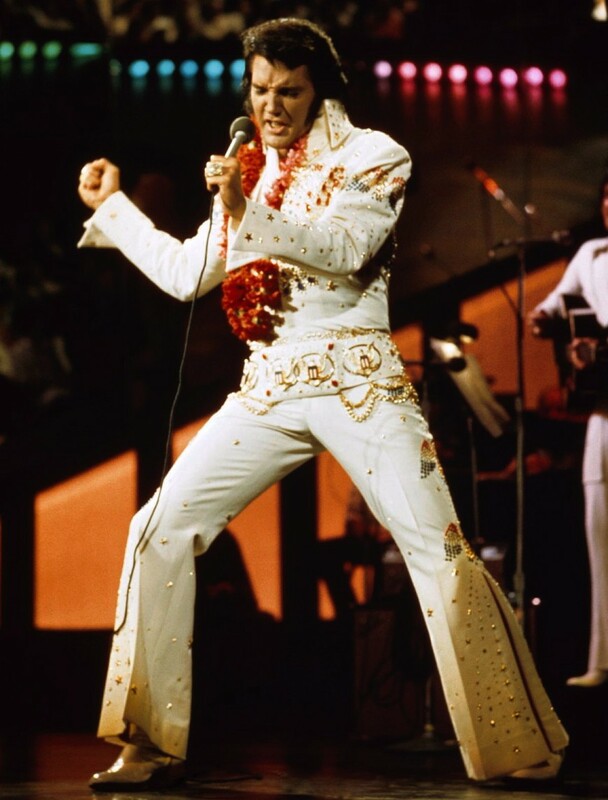 Although many stars might get the Elvis treatment, there’s still only one Elvis. In the ensuing decades after his death, the Las Vegas Strip became populated with Elvis impersonators. You could not walk into a single casino without being greeted by one. His songs were instant hits in karaoke bars all over the world, including Viva Las Vegas. It’s hard not to think about Elvis when anyone mentions the words “Las Vegas.” He was born in Mississippi and raised in the South. He lived in Memphis on his rolling Graceland Estate. But it’s Las Vegas that comes to mind when you think about Elvis. Elvis Presley might have died almost 40 years ago, but his spirit lives on forever. A plethora of pop stars have come and gone since then, but no one will ever be bigger than the King. The myriad of Elvis impersonators can vouch for that. The post Classic Movies – Viva Las Vegas! Elvis Still Reigns as King appeared first on Reel Life With Jane.